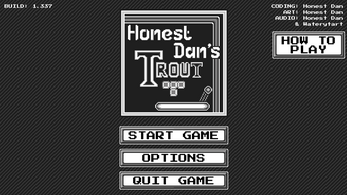 Honest Dan’s Trout combines two incompatible genres of the arcade era - Tetris-style puzzle & Brick breaker. This is a high score game, meaning the game continues until you lose the game. Focus only on the puzzle board, and you'll run out of balls. Focus only on the block breaking, and you'll run out of space and time. the ball destroys that wonderful four-liner you were about to hit. a new puzzle piece falls and throws your ball on an unexpected trajectory. 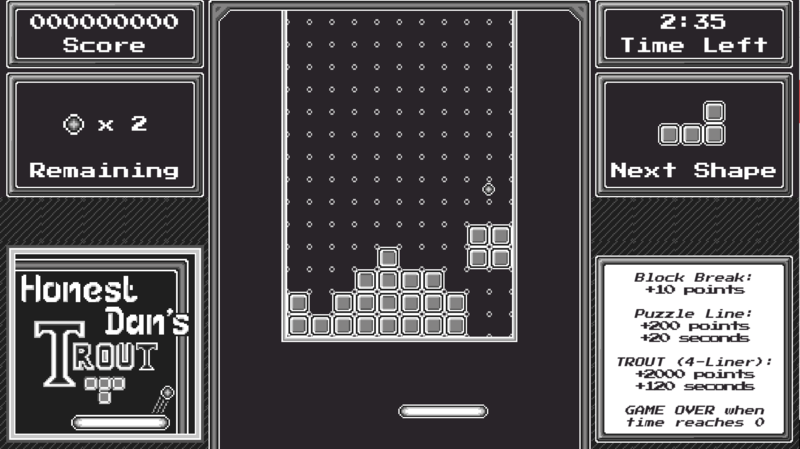 you focus on the ball too much and block up an otherwise perfect puzzle board. you move the puzzle piece into the ball to change it’s shape to perfectly match your needs. play such an accurate ball game that you can stack up and clear 4 lines in one go (known as a “trout”). you find yourself in a really long game as your performance keeps extending your remaining time. 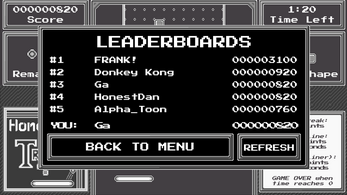 you get the top score on the online leaderboards. Thanks for taking the time to play my entry. Creating this was quite the journey, after having to scrap my first project at the end of day 1. 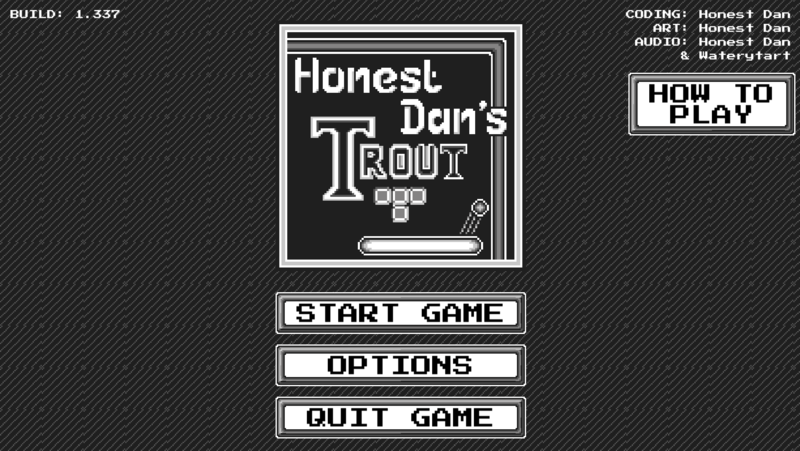 I’m glad I stuck to it, and despite lacking some polish and shine - I hope you enjoy your time playing Honest Dan’s Trout. - Scoreboards don't work on the WebGL version - I believe this is due to itch using https and the free scoreboard I'm using being on plain old http. It work's on the PC version though! - There is one known bug where the ball stops moving. It is rare, please excuse it if it happens. Created in unity, so run the exe. Can change graphics settings within the options menu. 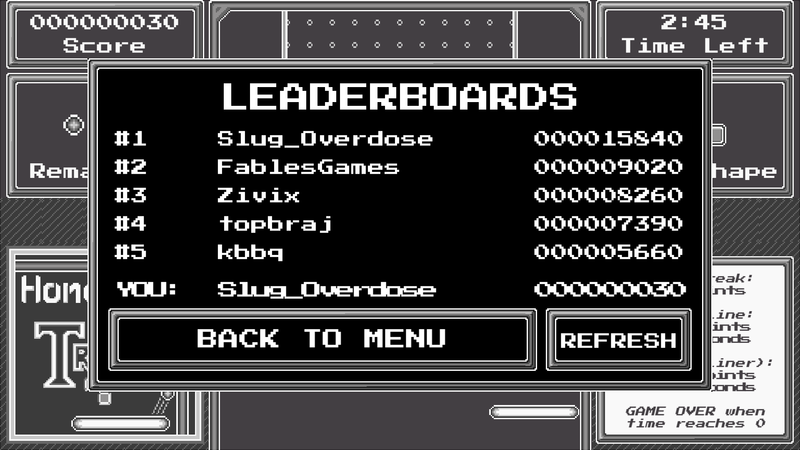 Yeah there is one glitch, but unfortunately wasn't able to fit it into the gamejam time - and wasn't game breaking as it's pretty rare. 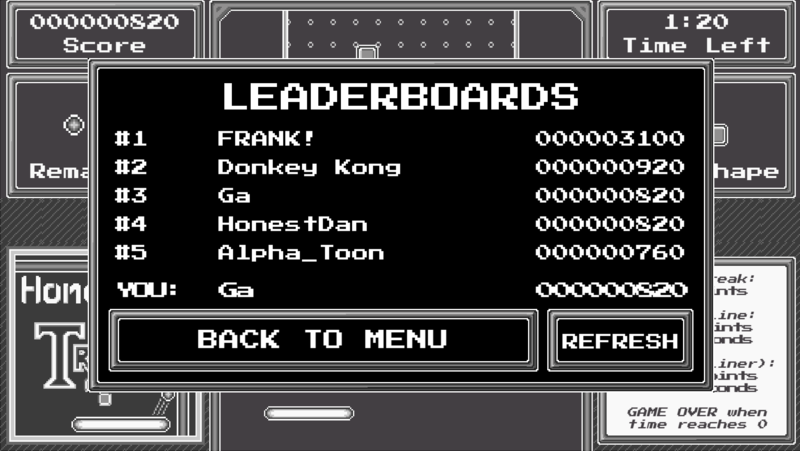 Thanks for admitting your score was based on a bug. Also gamejamcurator, thanks - appreciate it. There are 2 recordings of trouts, check my LD page for videos. Btw, very fun game. It's pretty awesome! 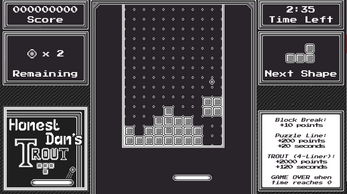 There's a glich which makes the ball get stuck in the middle of the grid, so you can play tetris "as usual" avoiding the ball. That's how I get the second position on leaderboard. This games is so hard but fun at the same time. Thanks for your comments guys! Sorry didnt realise people were doing comments here, I just kept an eye on the LD page. 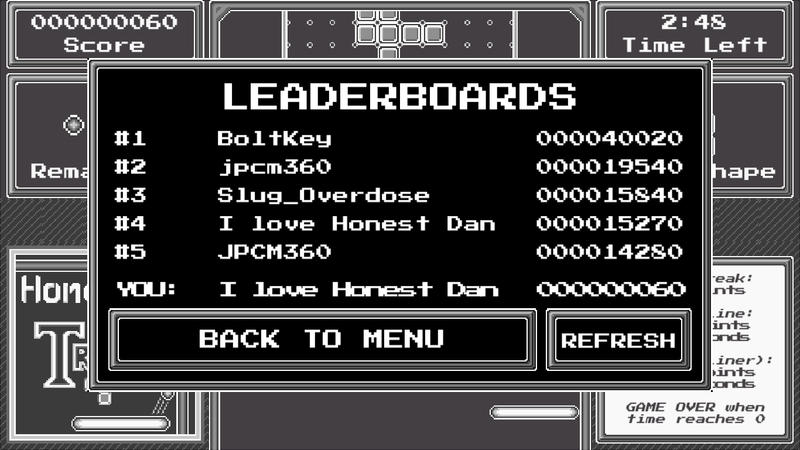 High Score is mine boys and girls!! !